(Millbrook, NY) In the US, recreational fishing generates over $25 billion annually. Each year, 30 million people fish in lakes, streams, and rivers. While the collapse of some marine fisheries has been reported, less is known about the state of freshwater fish. Solomon, a principal investigator, explains, "Our goal is to understand how ecological and social processes shape recreational fisheries at the landscape scale. This understanding is crucial to sustaining good fishing conditions for the citizens of Wisconsin and other lake regions – both today and in the future." The four-year project will engage a team of 15 collaborators representing nine research institutions and conservation agencies. Principal investigators include Marco Janssen of Arizona State University, Sunny Jardine of the University of Washington, Olaf Jensen of Rutgers University, and Stuart Jones of the University of Notre Dame. Questions being explored are rooted in fisheries biology, natural resource economics, resource management, and population ecology. The project's integrated approach involves engaging a diverse set of local stakeholders in the study region, which includes thousands of lakes spanning 5,300 square kilometers in northern Wisconsin. Fisheries are coupled natural-human systems, meaning that they are influenced by social and ecological factors. The team will explore the social side of fishery management – communication between anglers and lake managers, lake governance strategies, and angler preferences – as well as human activities and ecological processes impacted by fish stocking, catch regulations, land use changes within the watershed, and additions of woody matter along shorelines to create protective fish habitat. Solomon says, "Pooled or shared resources, like fisheries, are notoriously difficult to manage. Navigating property rights, governmental regulations, and resource users can be daunting, but doing so is the only way to reveal how fisheries work and the pathways and obstacles to effective governance." Eric Olson, Director of the University of Wisconsin Extension Lakes program says, "Lake associations, funded by private member dues, fundraisers, and grants from the Wisconsin Department of Natural Resources, often take on the responsibility of management. This project will assess lake associations in the study region to identify 'recipes for management success' that could be applied in other contexts." Another key area of study within the project will focus on the communication mechanisms that link lake managers and anglers, and ultimately determine the health of fish populations. 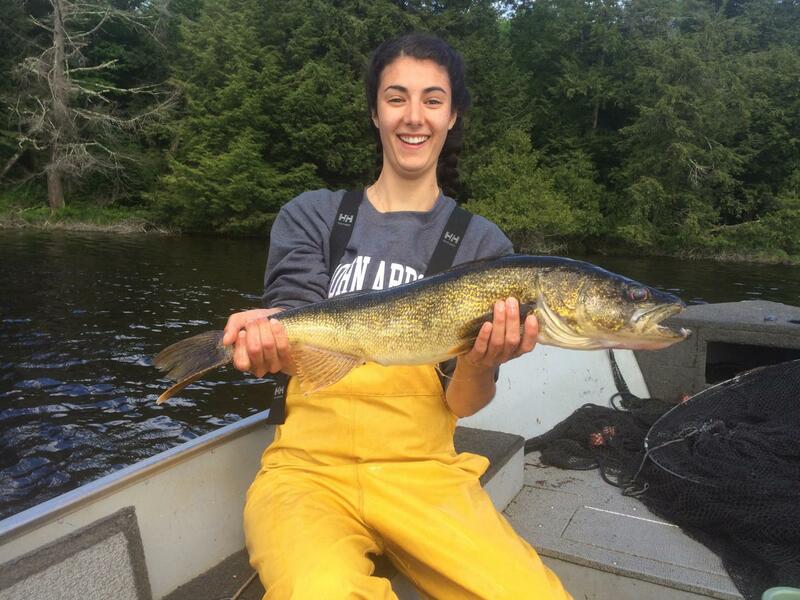 Solomon explains, "We are interested in how people learn about fish population status in different lakes, where this information originates, and how this information impacts anglers' decisions on where to fish. Ultimately, we want to know: Can managers make fish populations more resilient by improving information flows to anglers?" Greg Sass, Supervisor of the Fisheries Research Program within the Wisconsin Department of Natural Resources Office of Applied Science says, "Wisconsin DNR fish biologists and researchers communicate information about the status of fish populations through direct consultation and inquiries via phone and email, presentations at lake association and county-wide lake meetings, and consultation with the Wisconsin Conservation Congress and its associated advisory committees. This project will help us devise strategies to strengthen these communication methods." The team plans to use a combination of creel surveys, angler interviews, surveys of fish populations, and large-scale experiments to explore this area of study. Beyond direct applications, the project collaborators hope to expand the current body of theoretical knowledge on coupled natural-human systems and collective resource management. Solomon says, "We're excited that this system provides an opportunity to test existing theory concerning the efficacy of local governance in managing common pool resources such as forests and fisheries." With the aim to broaden the diversity of scholars engaged in coupled natural-human systems research, the project will also provide special training opportunities for postdoctoral students, PhD students, and undergraduate students.